A well-selected brainstorming improves the agile planning. The efficiency of a brainstorming depends on the following facts. Common brainstorming, the silent brainstorming, and the group brainstorming are the most popular techniques. You can find many articles about these well-known techniques on the web, BUT we would like to introduce five special methods for different situations. Follow us to learn the new techniques. Concentrate on a selected part of a user’s journey or find a missing part between two steps or activities using gap filling technique. First, identify the current starting point, “A” and the goal point, “B” and then tell the steps between them. Slice the journey into parts and to declare the starting and the goal point of every part. Let the team fill the gaps. Choosing a smaller scope lets you keep the pace of brainstorming and focus on what’s important. Role storming is not far from the essence of user story mapping. Telling a third person’s activity can cause difficulties during a common brainstorming. Break down these barriers by asking your participants to imagine themselves as a user. 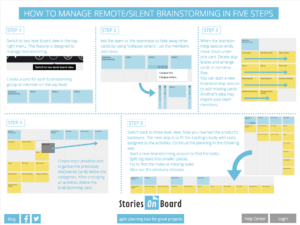 Role storming is to tell a too specific or a too common user’s activity. Act out a scene with team members pretending to take the other’s point of view. Sometimes we can’t describe exactly the benefit of the product which raises the question: Why should the user use the product? Reverse brainstorming helps you answer the question. Find how the idea solves the customer’s problem or what the benefit of using the product is. Investigate users closely to find their pain points. “How could I possibly achieve the opposite effect? If we know our users, we can solve their problems. Improve users’ satisfaction by finding how to make users more dissatisfied. If you find what causes the biggest dissatisfaction, you’ll know which improvements make the users more satisfied. In software development, it means you remove features or services from the product and check the results. Reverse brainstorming is the best way to check how big the user’s pain is when a feature is removed. This method is strongly recommended for prioritizing and selecting the next implementable features. UX-designers can benefit from using this method while creating a development plan. Example: If a missing bankcard paying cases the biggest pain, we should add new bankcard payment possibilities. Reverse brainstorming is a funny but creative part of a brainstorming and motivates teammates to join the conversation. This method is not equal to reverse brainstorming. This method asks, “how would a typical user use the product?” Then imagine the opposite. Would it work? Why or why not? Does the “usual” approach work well, or are there better options? This method is useful when it’s not enough to explore a user’s behavior by using role storming. It also helps small teams not to miss important information. To explore all the possible activities, rethink every user’s choice from the opposite side. For example, different users can make different journeys on a website. Example: Somebody leaves the webshop without saving the basket. Brainwriting is a special type of silent brainstormings. 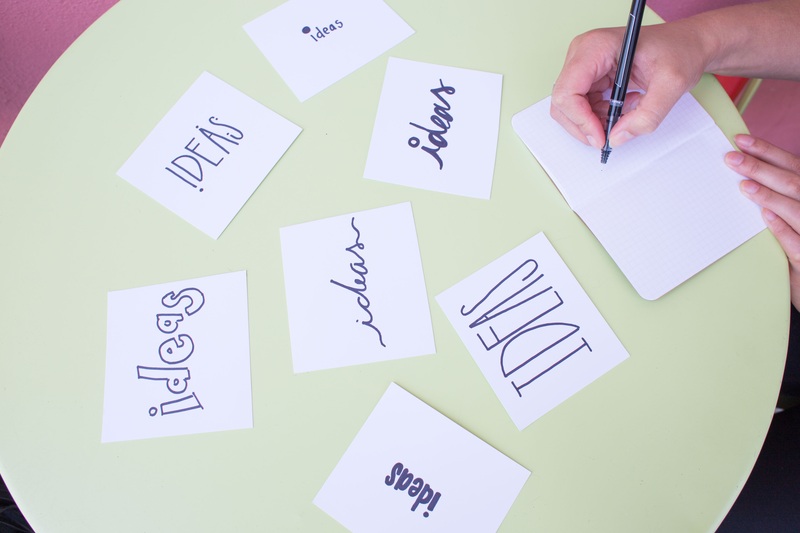 Let each team member anonymously write ideas (users, activities or tasks) on a card. The cards are randomly shared with other teammates who add content or criticize the ideas. Repeat the process until everyone has written on everyone else’s document. To reach the shared understanding, collect the cards and place them on the board. Brainwriting is useful when the project or the planning team is too big to speak about all the ideas. 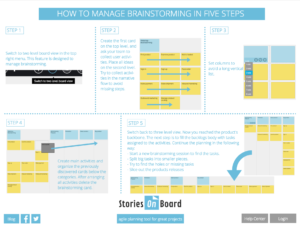 StoriesOnBoard in two-level view can manage a brainwriting session easily.